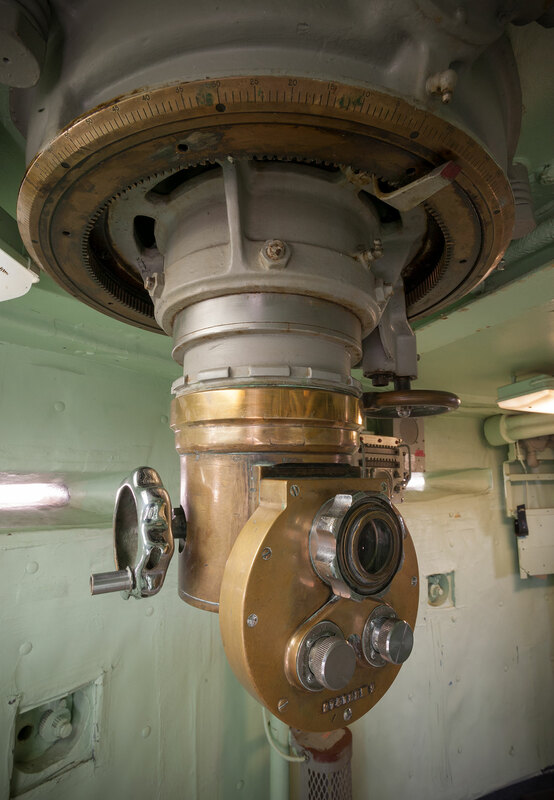 Ship's Conning Station (04-85-0-C). 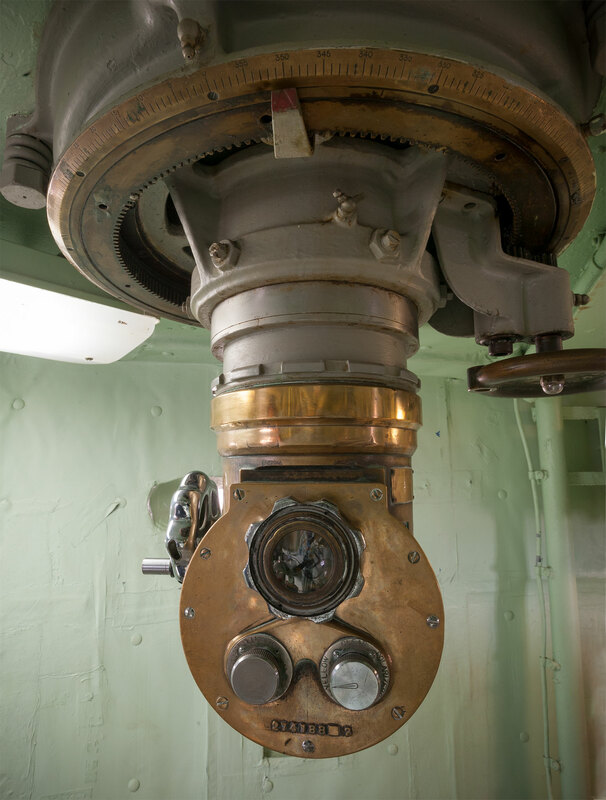 The armored conning tower running through the center of the bridge is constructed of 17.3" of Class A armor. 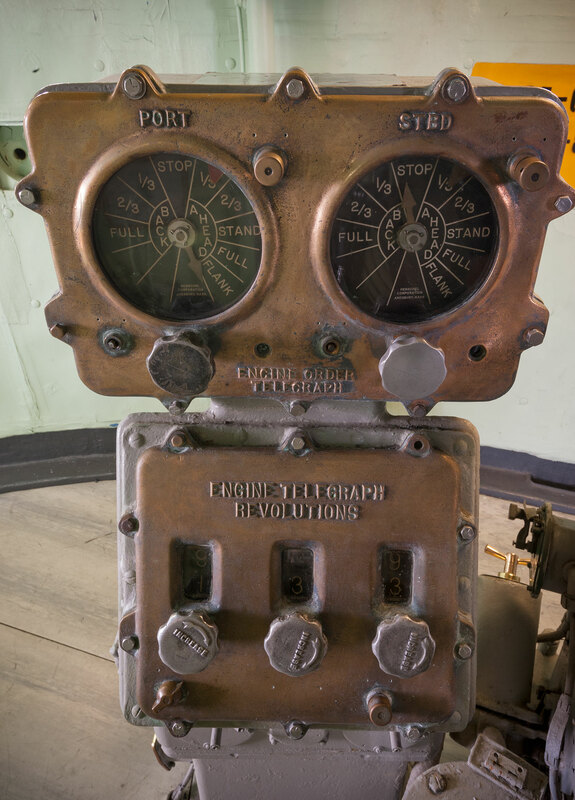 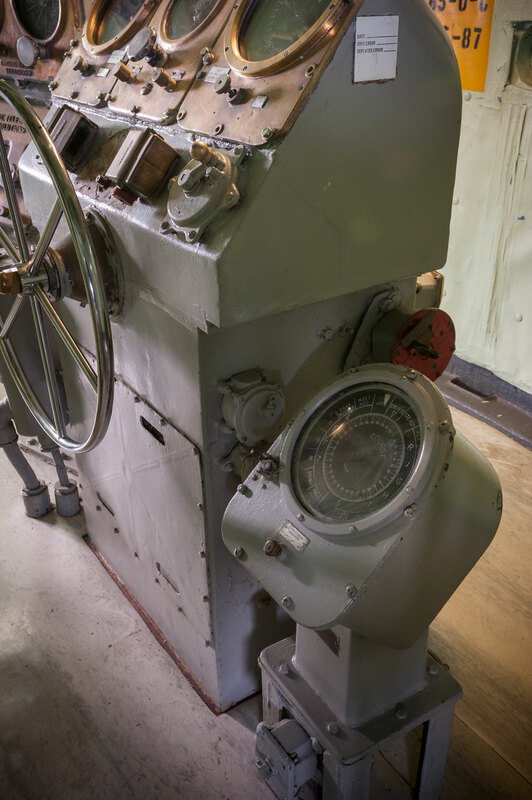 The helmsman and commanding officers were protected from enemy fire after the hatches were cranked closed.